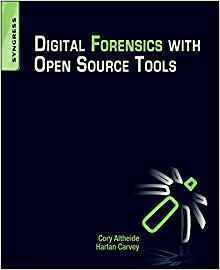 Digital Forensics with Open Source Tools is the definitive book on investigating and analyzing computer systems and media using open source tools. The book is a technical procedural guide, and explains the use of open source tools on Mac, Linux and Windows systems as a platform for performing computer forensics. Both well-known and novel forensic methods are demonstrated using command-line and graphical open source computer forensic tools for examining a wide range of target systems and artifacts.